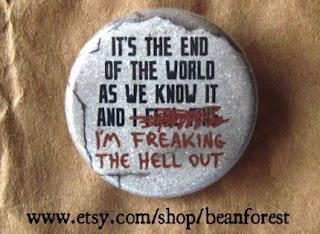 As you may have noticed, I am entirely into the handmade apocalypse. 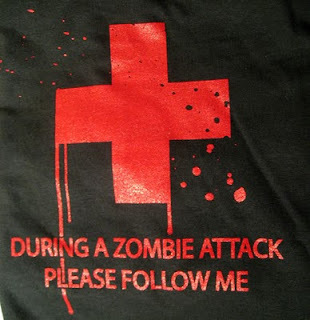 I've done the zombie goodies the generally apocalyptic stuff, but what if you're stuck with nothing to wear after the world ends? 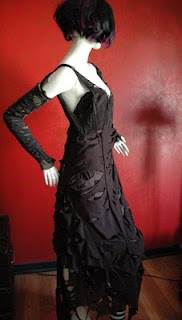 Raggedy dress from Black Orchid Designs. 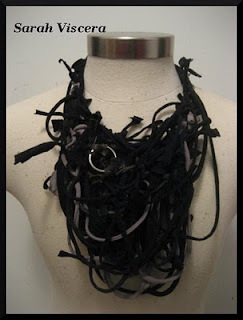 I love statement that describes "hand tortured layers". 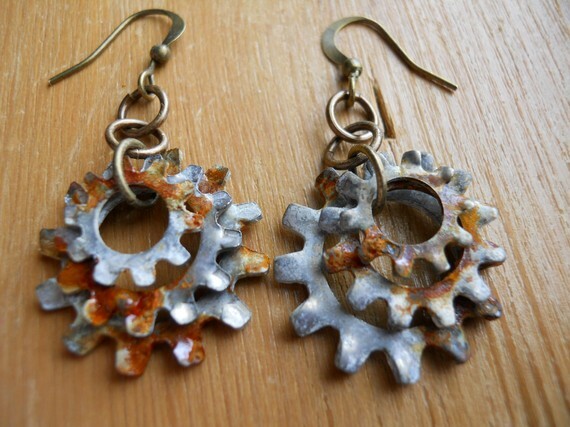 Rusty old gear earrings by Phenocryst Originals not hand tortured, but hand rusted! "Desert Trash" O-Ring and Fabric Cowl. Love the name! This comes from Sarah Viscera. 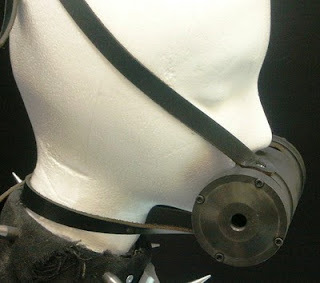 Canister gasmask by GPS Hardware. I have to admit, I find this one a bit terrifying. 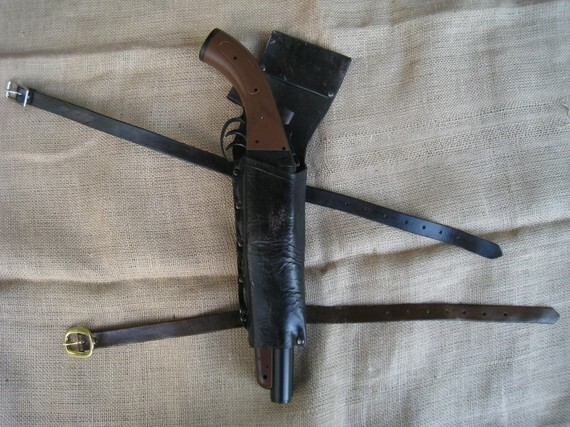 Mad Max style thigh holster. Useful in a post-apocalyptic wasteland! 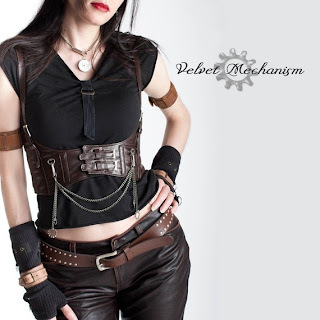 This is by Magnolia Leather Works. 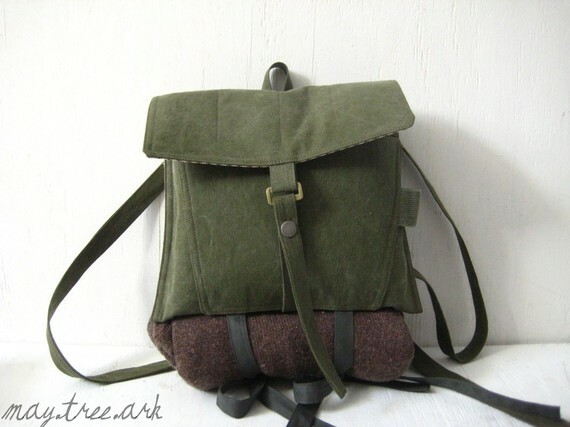 Settler's Sack from May Tree Ark. 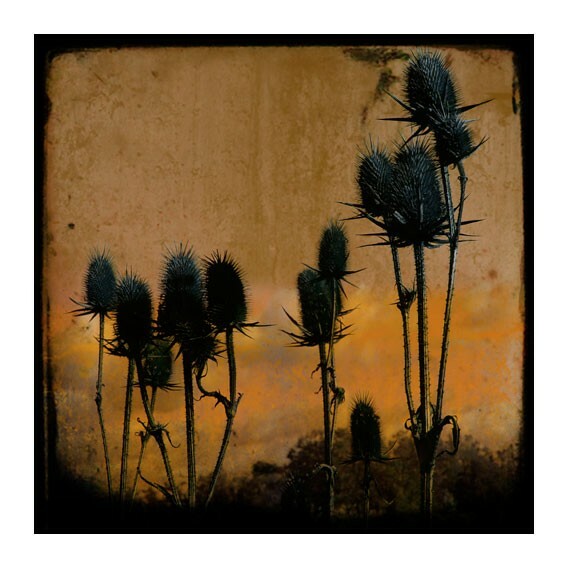 This one's sold, but they have other similar things - and who knows when they'll have another. I'd like it for wandering a deserted wasteland, or hey, for taking to the library. Okay, I couldn't resist another steampunky one. 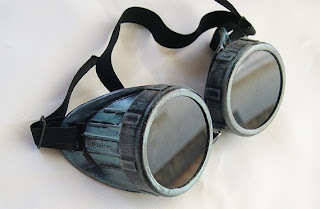 But these two-tone goggles from Jaded Minx are perfect for those end-of-the-world days too. 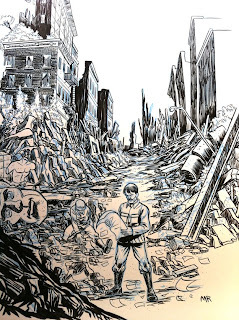 Though I often think of my love for zombies as a separate entity f﻿or my love of the apocalypse, really, who doesn't love a good zombie apocalypse? Here's a selection of 8 handcrafted items. . .that you could possibly even create yourself if you have the right skills. 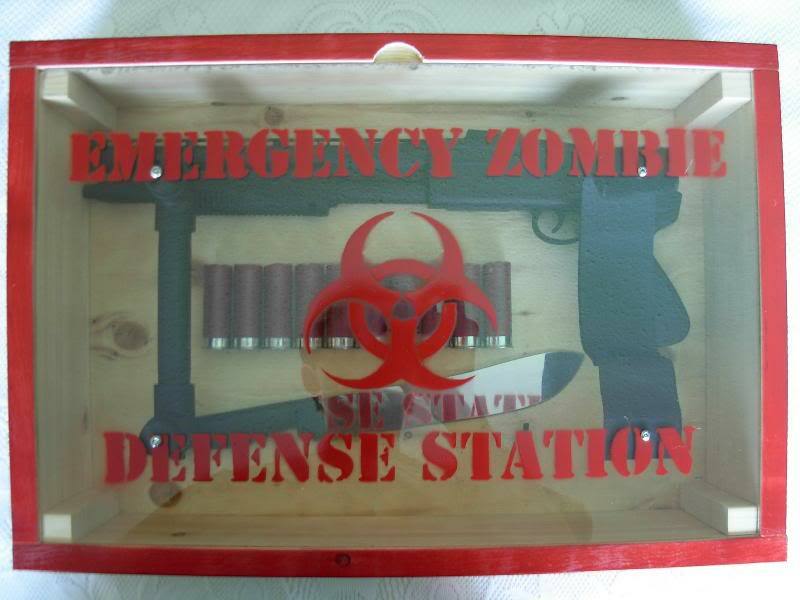 Emergency Zombie Defense Station by Bunny in a Bear on Craftster. Looks good, and amusing too. . .I'd be tempted to put real weapons in it though. Like a stick or something. You know, just in case. Spanish Inquisition, Zombie Apocalypse, whichever. Love the Monty Python Humour in this (dare I say?) 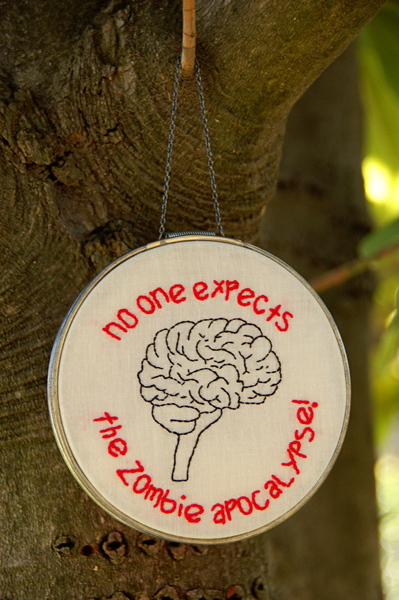 cute brain embroidery by amber656 on Craftster. 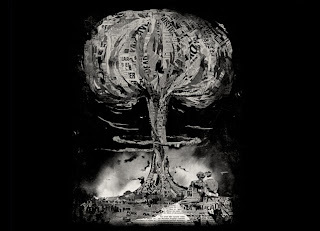 So this looks like it might be a stencil, and therefore something I could make. Nope. It's a QUILT. I'm way too impressed with this Zombie Girl Quilt from graverobbergirl on Craftster. Mm, BRAIIINS. . . on Cupcakes. 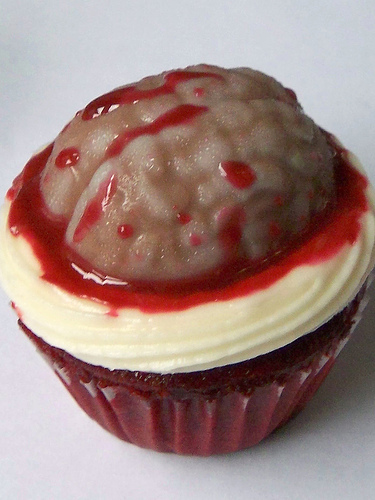 Red velvet cupcakes with a brain mold on top and a bit of "blood" by OhThat on Craftster. 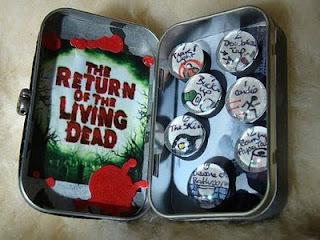 I bet I could make these, but I would never have come up with the idea myself. Return of the Living Dead tin with zombie marble magnets by MissingWillow on Craftster. Marble magnets are pretty popular in the Craftster world, and there's a good tutorial for them here. They end up looking very nice, and aren't very tough! I've made some that on tacks as well as magnets. Springtime zombie hand embroidery by supervelma on Craftster. Perfect for the season. 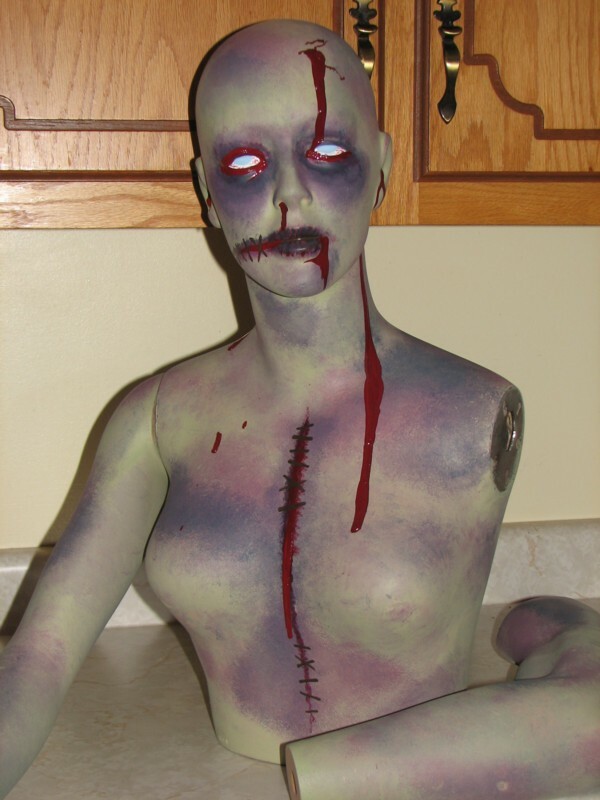 Half-mannequin to torso zombie! Okay, I can't actually picture myself being able to reproduce this, but I'm sure someone who is crafty with an airbrush (?) could. This is by KRIS-13 on Deviant Art. 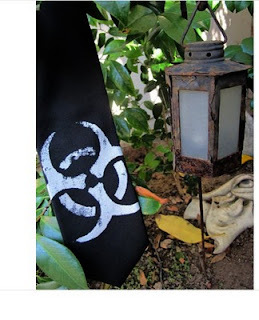 Stencilled shirt by teriyakimoto on Craftster. ﻿Stencilling (with freezer paper) is one of my favourite crafts. It took me a little while to find a tutorial, since I've just been doing this for years! But here's a pretty good one. Oh, and just for fun. There is an amazing zombie wedding cake under this link! I was thrilled when I started listening to Muse's album The Resistance and found a post-apocalyptic, dystopian, romantic dream. Fits perfectly with the novel I'm working on. Plus, it got me thinking. How many of the songs I love are about the end days? With some thought (okay, and some googling) I ended up discovering the answer: a whole lot. Here's my ideal Playlist for the End of the World, a selection of my favourite songs with apocalyptic, post-apoclayptic and dystopian themes*. Totally biased toward my own tastes, of course! 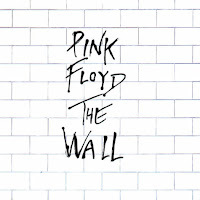 Goodbye Blue Sky by Pink Floyd was going to be number 17, since it really has that war-torn, end-of-the-world feeling. 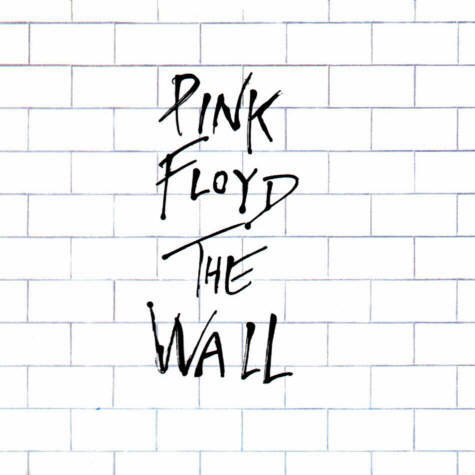 But since the whole album has a dystopian slant, I'm instead saying: The Wall. *I realize that a few of these are actually based around battles in history (#14 in particular), but I think they could still apply today - and plus, that makes them even more disturbingly delightful. 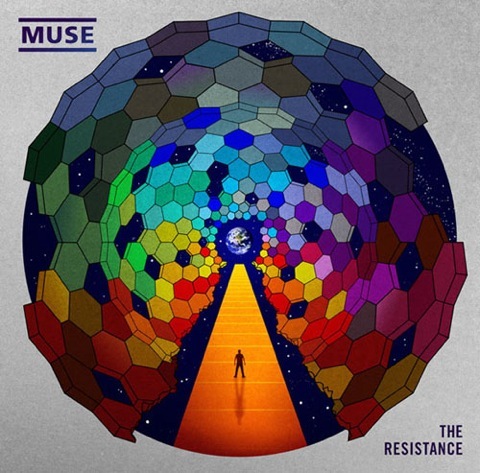 Do you have any favourite songs about the end of the world? Let me know in the comments! 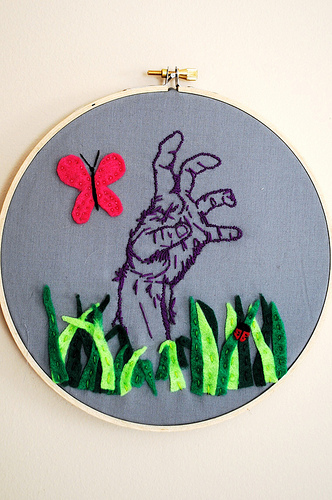 Everyone in the crafty world seems to love the apocalypse. Got to say, I think it's kind of awesome. 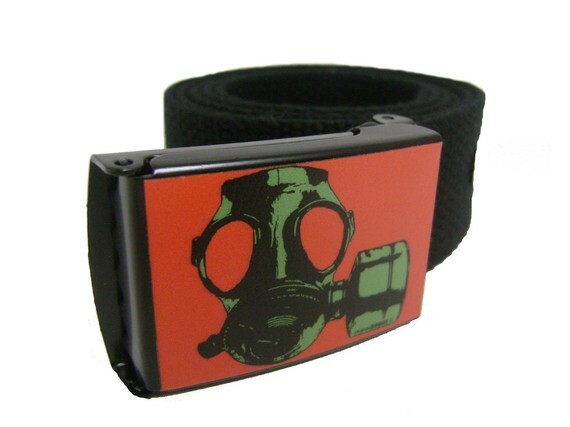 Here's a roundup of eight interesting apocalyptic things you can buy from Etsy and beyond. From the Beanforest shop on Etsy, which also has a lot of other amusing buttons. I've bought a couple. "Protection" by 57thirtythree, interesting designs all made in the US. One of the many haunting landscapes from gothicrow. 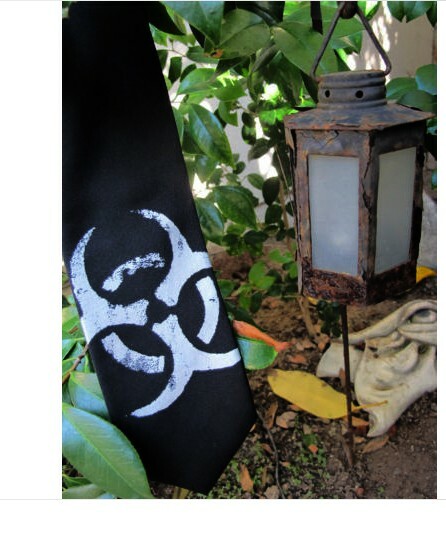 A Biohazard printed tie, also on Etsy. 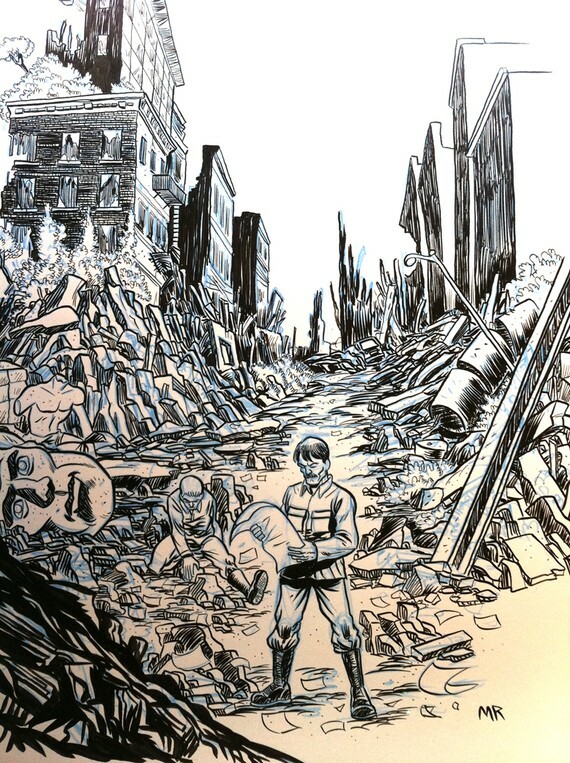 Art from a comic by Mark Rudolph, "We did it. . . we blew it up"